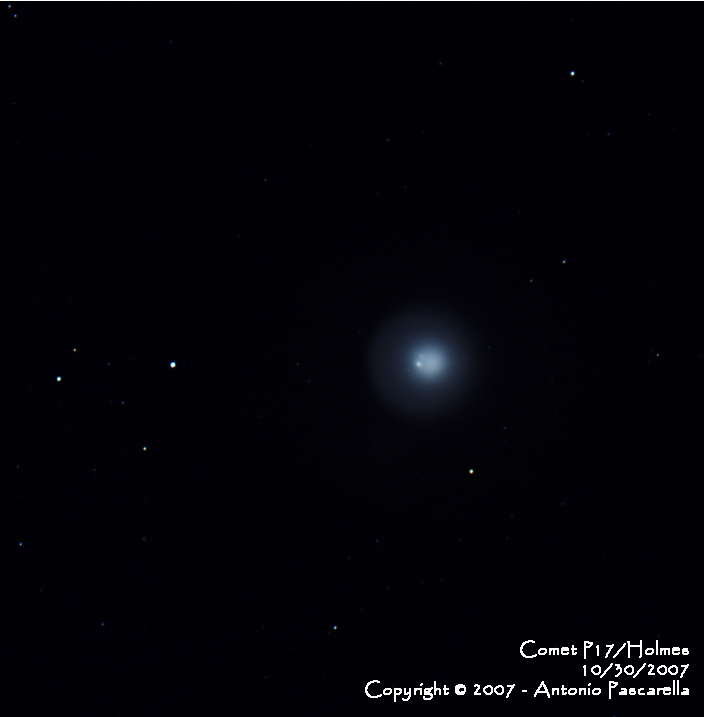 17P/Holmes is a periodic comet in our solar system, discovered by the British amateur astronomer Edwin Holmes on November 6, 1892. In only 42 hours in October 2007, the comet brightened from a magnitude of about 17 to about 2.8. 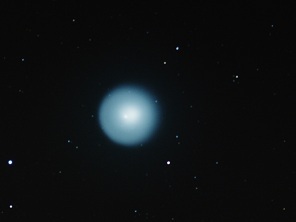 This represents a change of brightness by a factor of about half a million and is the largest known outburst by a comet. 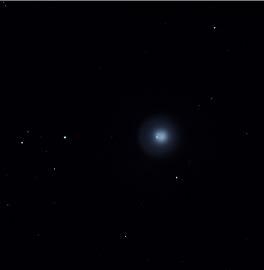 As of February 2008, the comet remains visible, a challenging target at about magnitude +5 in the constellation Perseus. It has expanded to greater than 2 degrees of arc as seen from the Earth, and thus has very little surface brightness.